WASHINGTON (Reuters) - U.S. Republican Senator Lisa Murkowski, who is considered a key vote in whether or not Supreme Court nominee Brett Kavanaugh is confirmed, said on Friday she had not made up her mind on what her final vote would be. 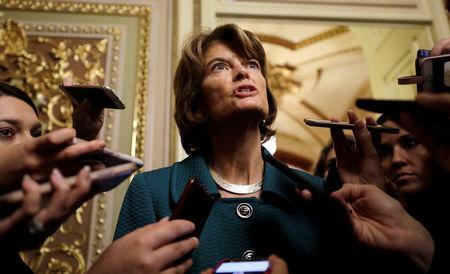 "This has truly been the most difficult ... decision that I've ever had to make," Murkowski told reporters. "I believe he's a good man. It just may be that in my view, he's not the right man for the court at this time."